Though he struggled for hits, he had a lot of movies in line to be released, and he was never left free without film. Ishq Vishk, Vivah, Jab We Met, Kaminey, and Haider are his best works till date in Bollywood. Shahid Kapoor is now one of the leading actors in Bollywood, and he is busy with multiple films currently in his career. Updated: Shahid Confirmed It During An Interview Of Udta Punjab. Video is Below. Watch It. He has been rumored to be in a relationship with Kareena Kapoor Khan and him duo admitted it publicly several times. They broke up after which the actor dated Priyanka Chopra for some time. After they had parted ways, his father decided Shahid to tie the knot, and it was an arranged marriage. Shahid Kapoor tied a knot to Meera Rajput, a Delhi-based girl and the couple kept trending all over right after their marriage as they looked stunning. The whole Bollywood has been left wow after watching the couple together. The media people always made it news whenever the couple has been spotted together in public places. Shahi Kapoor and Meera Rajput got married to each other in July each other and the latest news we hear is that Meera is currently pregnant, and the couple is expecting their first child. Though there has been no official confirmation on this, all the leading dailies published about this news. 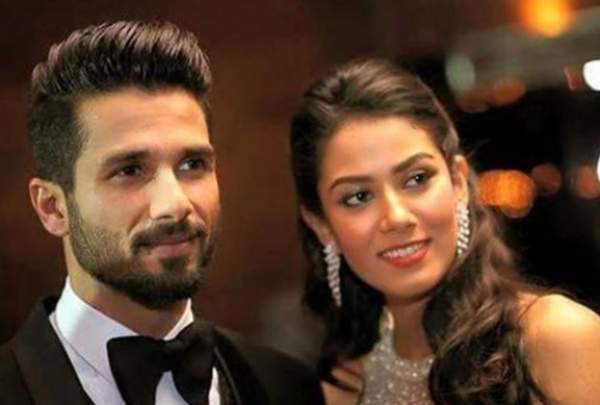 Sources say that Shahid and Meera are in deep love after they got married and Shahid has been spending much time with her during his free time. The adorable selfies of the couple are trending all over. Meera brought a perfect change in Shahid’s life, and this change has been clearly visible says Shahid’s friends and relatives. Shahid has not been sharing a full picture of Meera from some time which added strength to the rumors about her pregnancy. Meera, who has been habitual of making public appearances, has been staying back at home during the recent times. Shahid Kapoor’s fans have been utterly delighted with the news though there has been no official confirmation. Meanwhile, when rumors are surrounding the celebs, a close and unnamed friend of the couple confirmed to Mumbai Mirror that she is pregnant. The friend confirmed that the 22-year-old Mira Rajput is in her second trimester and is ‘halfway through her pregnancy’.